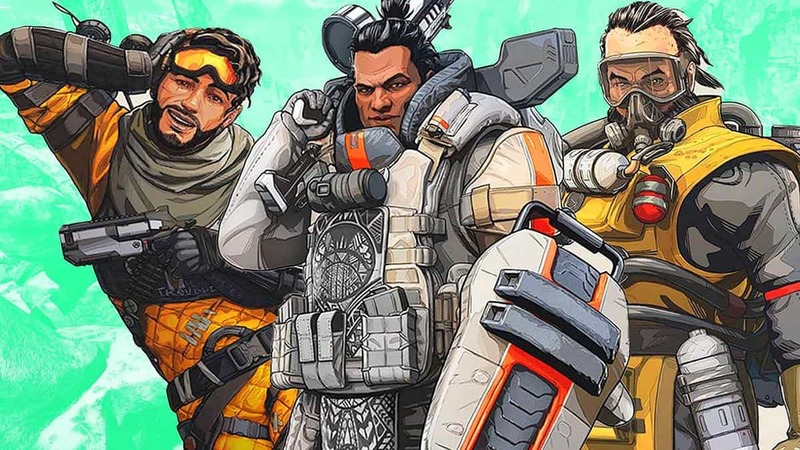 Respawn’s Apex Legends is not a complicated game but there are some little-known features and Apex Legends Advanced Tactics that you can use to win more. 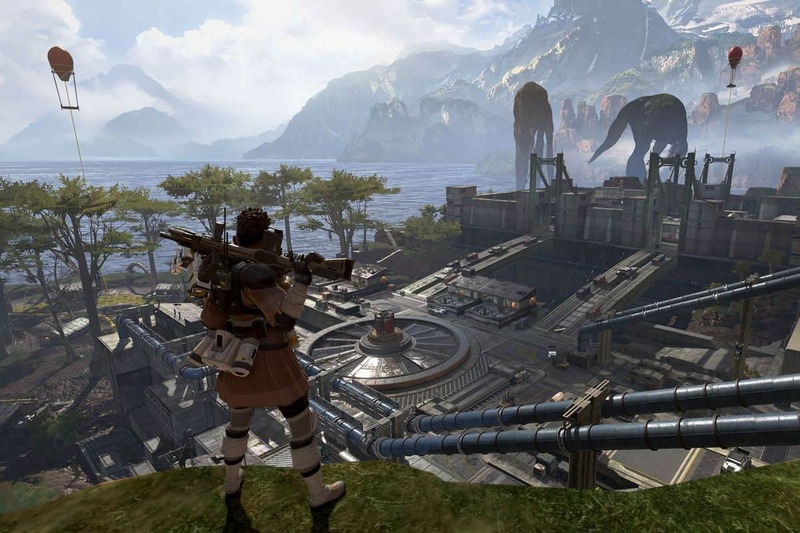 Apex Legends have been out for quite a while and so we have learned more about the game and here are few tips that might improve your gameplay and bring you one step closer to becoming a Champion. Each area has different tier loot, when you land at an area or enter an area, its name along with which tier of loot is available there, will be displayed at the top left corner of the screen. However, if you are really looking for some epic loot then try the Hot Zone. The Hot Zone is marked with a blue circle on the map during the landing phase, a blue light emitting from them in the game can also identify them. They have some of the best loot there including fully kitted Golden Weapons. However, beware; you will not be the only one coming for the Hot Zone. Usually, 3 to 4 squads pick that spot, so be ready to face them once you land. Alternately, you can try the supply ships found flying over the map in different spots. They are small ships but have some high tier loot. Although there is a dispute over the ship against a few squads, the situation is not as bad compared to the Hot Zones. However, keep in mind the loot on supply ship is also limited, so your whole squad may not be armed to the teeth when you are done looting the ship. Once you have survived the Hot Zone, you deserve a pat on the back, as it is not an easy task to accomplish. While looting Hot Zone, you will come across Golden Loots. Now, there are two types of golden loots, the Golden Weapons, and the golden gear. Keep in mind, that you can also get these Golden Weapons from the drop. The Golden weapons include all of the weapons that you usually find throughout the map, but the golden version of that weapon would be fully kitted with best attachments. Along with these Golden Weapons, there are two exclusive Golden Weapons, the golden 50 cal sniper, Kraber and the golden shotgun mastiff. Both of these weapons are S tier weapons, and they can absolutely demolish the enemies. The Golden Gear has the same stats as Purple Loot, except, the Golden loot comes with some perks. Golden Helmet charge your Ultimate skills faster, Golden Armor fully recharges your shield after an execution, Golden Backpack speeds up your health and shield consumptions, and finally, the Golden KO Shields can be used to revive yourself when downed. Like most of the games, once the player has been downed, he can be revived by his teammates. 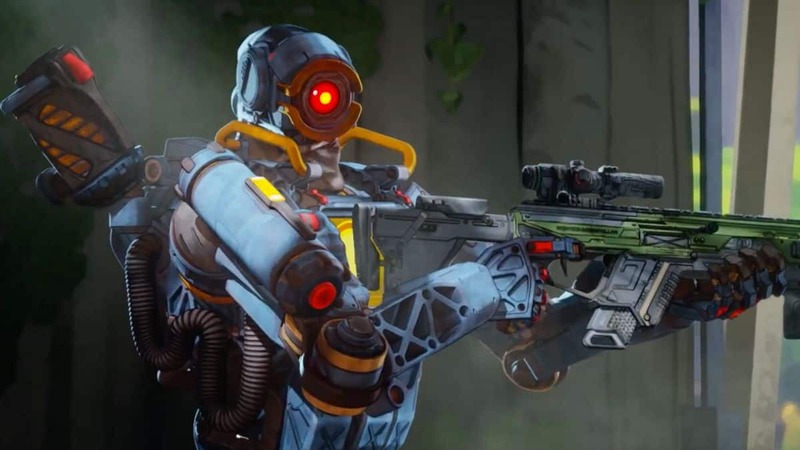 However, in Apex legends along with that, there is an additional feature, that allows the player to be brought back even if he has been killed in the downed state. When a player has been completely killed off, his teammates can grab his banner from his loot box and use it on a Respawn Beacon to bring him back from the dead. However, there is only a set amount of time to pick up the banner before it expires, so finish the combat quickly if you want your friend back in action. You do not need to personally have a dead player’s banner to use the Respawn Beacon. If a teammate is carrying the banner, anyone can use the beacon. When the teammate has been brought back, he will be dropped on the Beacon via a dropship. The dropship does not exactly come in quietly, so expect some company, as enemies can hear the dropship from quite a distance. Also, keep in mind that your ally respawning will come empty-handed, so do not loot the supply bins near the Respawn Beacons, have some humility and leave something for the poor guy. 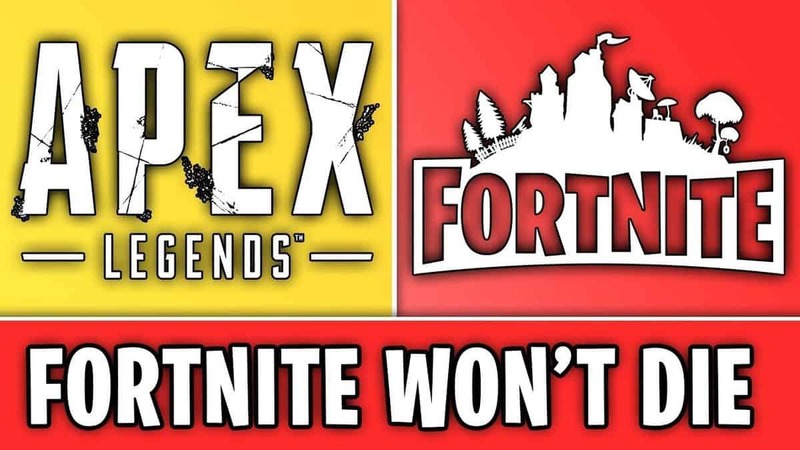 The map of Apex is not as huge as Fortnite or PUBG that is why there are not any vehicles to use. Therefore, making your way inside the safe zone is not a big deal. However, in the later circles, it is best to stay inside the circle, to gain a better vantage point. Because if you are rushing inside the circle at the last minute, you may find yourself in a very sticky situation, under fire from multiple squads who have already reserved their spot inside the circle. Although the circle can be reached fairly fast, if you still want to make time, and then holster your weapon, this allows you to run faster. On PC weapon can be holstered by pressing 3. On consoles, press hold either Y or Triangle. Alternately, you can use balloons to quickly fly inside the zone. You may have noticed structures that have a balloon on top of them. They are fairly obvious to see so you cannot miss them if you view over any town. The balloons launch you in the air where you can maneuver and get yourself inside the zone very fast, it can also be used for other purposes, like getting a jump on an unaware enemy. 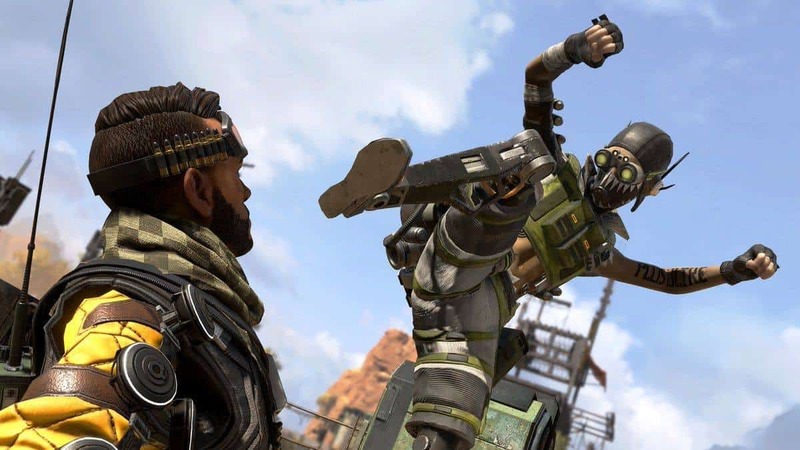 Another great feature added in Apex Legend is the pinging system. This is a great substitute to voice chat. If you do not feel comfortable talking to the strangers online, the pinging system has got you covered. Using pings, you can mark the area where you want, you and your team to proceed next or the loot that you want your teammates to have. You can also mark enemies with it, so instead of confusing your teammates by says, “The Enemy is there or here”, do both yourselves a favor and use the ping to precisely mark the location of enemies. The default key for pinging on PC is the middle mouse button. I am not sure what the key is on the consoles. Use a single ping to mark loot and places to explore next and use double ping to mark enemies. Additionally, you can ping your own weapon in inventory to request ammo for it. You can also respond to ping markers. Point at a ping, and open the ping wheel by press holding the ping key. You can reply with “agree”, “disagree”, or “I can’t”. 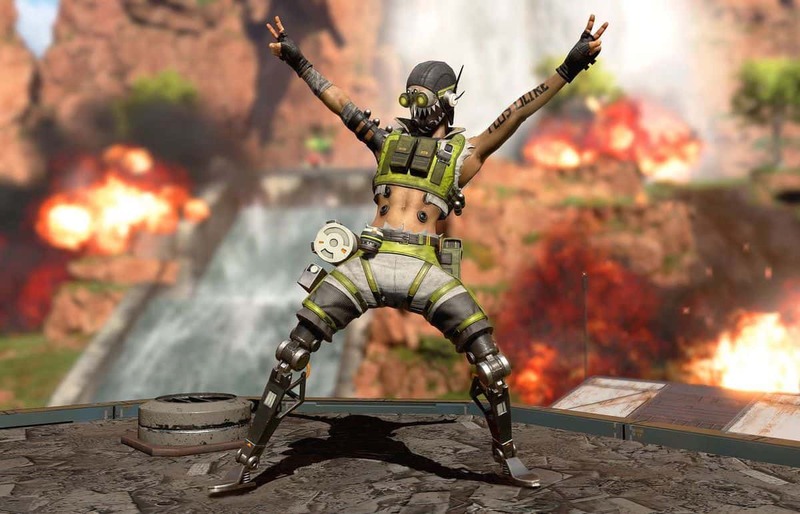 By now, Apex legend has to be the smoothest Battle Royale experience out there. There are several mobility options added to the game. You can run and slide by interrupting the sprinting animating with crouching, transitioning from sprint to slide, you can again press sprinting key to transition back to sprinting. Use this to chain multiple sprints into a slide into the sprint to evade very effectively and to cover more distance. However, keep in mind that you have to sprint a small distance before you can slide otherwise you will not have enough momentum to do so. Another aspect of parkour is that you can wall run. If you think a wall is very high, you might be able to climb it by wall running. To do so, approach the wall and press hold the jump key and your character will run and grab the ledge of the wall and vault over. While deploying Wraith’s portals you run faster, so you can get out of places faster. However, Wraith’s portals are a double-edged sword. 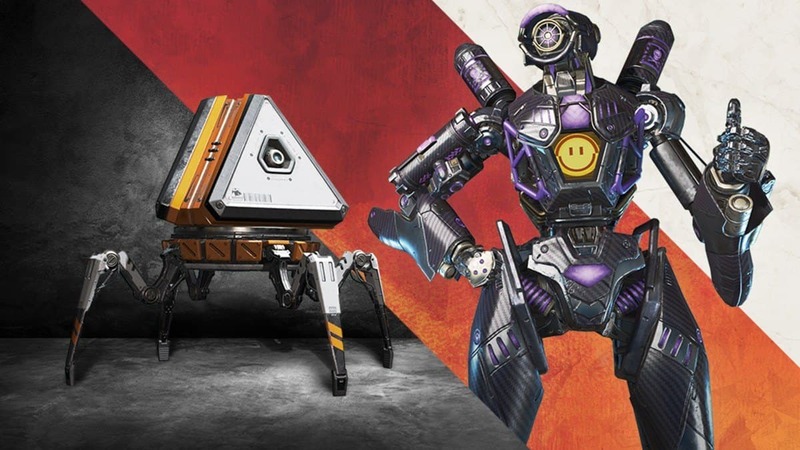 While you and your teammate can use these portals, enemies can also use them. Wraith can also clock use her cloaking ability during her ultimate. However, her cloaking ability also has some major issues. While you can ignore any damage when cloaked, you leave a blue trail behind you, so enemies can easily track your movements. Lifeline’s drone can heal her as well as her teammates, but keep in mind that it can also heal the enemies. When facing Lifeline, either destroy the drone first or jump in with her to receive some healing for yourself too. Lifeline’s ultimate can drop anything except for weapons. Enemies can see the visual effects of Bloodhunter’s area scan so keep that in mind when rushing in after spotting the enemy, as he might be expecting you. Bloodhunter’s ultimate also allows him to see all living thing in a vibrant red color. He can differentiate between Mirage and his decoys. Keep that in mind when bamboozling him. Bloodhunter can also see through smoke, so if you use Bangalore’s smoke against him, you will be essentially shooting yourself in the foot. Both Bangalore and Gibraltar can call in an air strike on an area. However, keep in mind that these can also harm your allies, so wait for them to finish before rushing in. The same thing is with Caustics’ gas – it can affect allies nearby. The closest thing to dance from Fortnite to show your opponent who is a superior player is an Execution. Executions can be attempted on a downed player once you are close enough. The only practical use of this is that either you do not have enough bullets to finish off the enemy or you just want to style on him. Keep in mind that while executions look very cool, they take quite a bit of time to be performed and during that time, you are completely vulnerable. Moreover, your executions can be easily interrupted if players are shooting at you. Therefore, do not perform these in an open area where you know the enemy has a line of sight on you, as this way, you will end up with a grey screen. 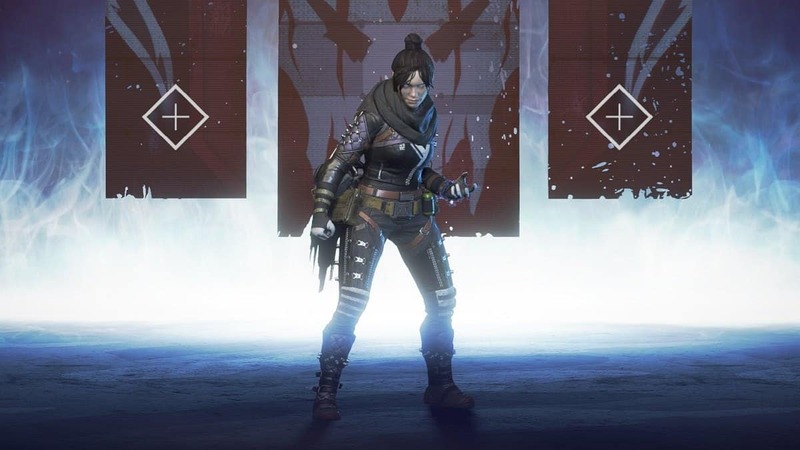 In Apex Legends, surviving alone is harsh so it is better to stick around your teammates and at the off chance you are away from your teammates, you can see a flash appears next to their icon when they’re shooting, indicating that they have engaged in a gunfight. Therefore, rush over to help before your team is annihilated and you are left alone. Again, as previously mentioned it can be harsh surviving alone. Melee attacks do only measly 30 points of damage, so they are not very good. However, one good use of melee attack is that it will knock open doors. This is not very practical but looks cool when you blast your way inside a building. The color of the crate left behind by dead bodies indicates the rarity of the gear they are carrying. Therefore, jump onto the Purple or Golden ones.